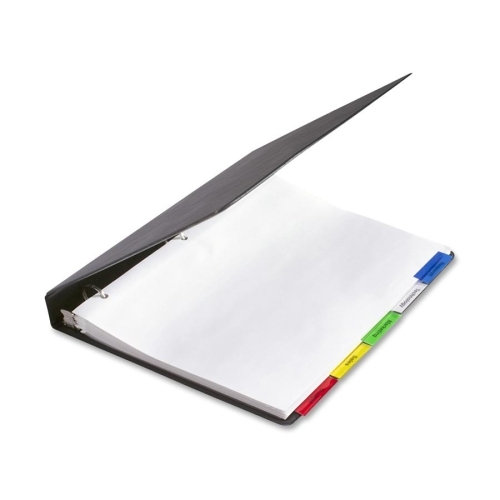 Use oversized insertable tab indexes with sheet protectors. Large tabs perfect for longer words or titles. Reinforced for durability. Blank white inserts included, typewriter spaced. Paper weight is 32 lb., white ledger.